I received the Hempz Citrus Blossom Moisturizer as a Gift this past Christmas and I love it. I love the way it leaves my hands all nice and soft, especially now during the harsh Winter months. It is a perfect way to battle the cold. It is enriched with 100% pure Hemp seed oil and has a very nice citrus scent and is very soothing. It is blended with natural extracts to provide dramatic skin hydration and nourishment to help improve the health and condition of the skin. Here are two amazing products from the Moroccanoil line. The Body Souffle is very rich and full of anti-oxidants argan oil and creamy sea butter that transforms the skin the moment it is applied to the skin. The Moroccanoil Body Souffle has a very slight scent of the Moroccanoil and just leaves my skin rich & smooth and drenched with moisture. The Moroccanoil Body Butter is also rich and high in argan, shea, cocoa and mango butters and leaves my skin with long lasting hydration. These two products definitely win a place as one of my Fav’s. As my first favorite of 2014, I would have to say my choice is simple, it would be NARS. I have been absolutely loving this product line since I started using it almost a year ago. When I have an opportunity to go into Sephora’s, you will most likely find me dabbing and blotting samples from one of their vibrant eye shadows, buttery lip sticks or pigmented blushes. My first NARS purchase was the Oasis Blush and OMG the color and texture is phenomenal. The Oasis blush is, as described on the Sephora’s Website, as a Sparkling Pink Champagne. It’s been my go to blush since I added it to my collection and since put my current blush, MAC’s Blushbaby, aside. 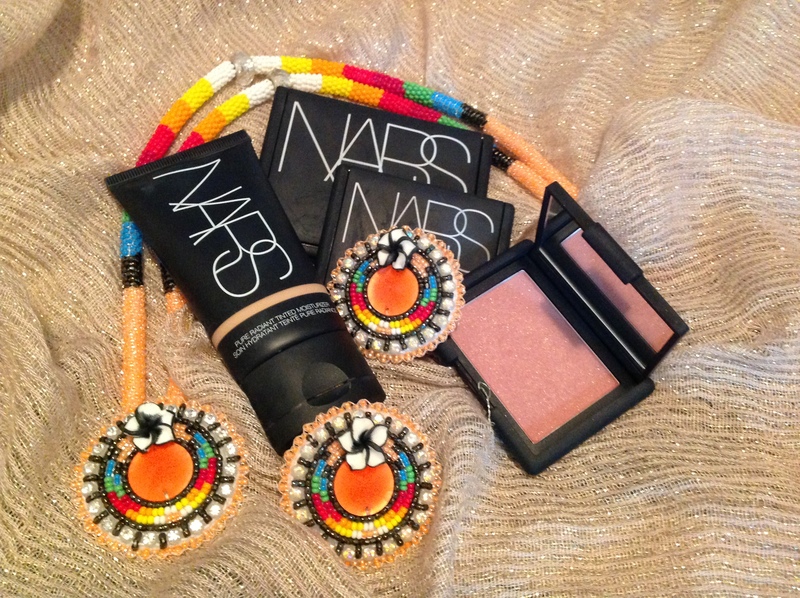 So, I do feel that the NARS Oasis is a perfect way to start off 2014 and my first Fav!